Last week’s Skinner Round-Up presented by Cessna raised over $220,000 in support of Hope For The Warriors, a national nonprofit dedicated to restoring a sense of self, family and hope for service members, veterans and military families. 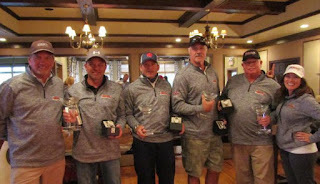 Held at Mountain Falls Luxury Motorcoach Resort and Burlingame Country Club in Lake Toxaway, N.C., the event included everything from a shooting competition and golf tournament to a hoedown bash and daytime festival for service members, the community and a variety of celebrities. 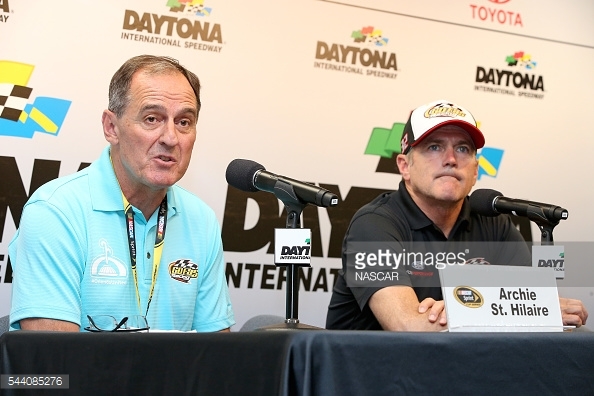 "I've always been proud to have my name associated with the Skinner Round-Up each year, and 2016 was no different," said Mike Skinner, 1995 NASCAR Camping World Truck Series Champion. "Angie [Skinner, wife] works so hard to plan out every detail of the event, and she has a great team of volunteers behind her helping every step of the way. Between their dedicated effort and the support of some great corporate sponsors like Cessna, Toyota, Bad Boy Off Road and E-Z-GO, we were able to exceed our fundraising goal for our friends at Hope For The Warriors. We had a group of service members present again this year, and we were able to have them golfing side-by-side with accomplished athletes, musicians and business leaders. The relationships that are formed through events like this are instrumental in continuing hope." 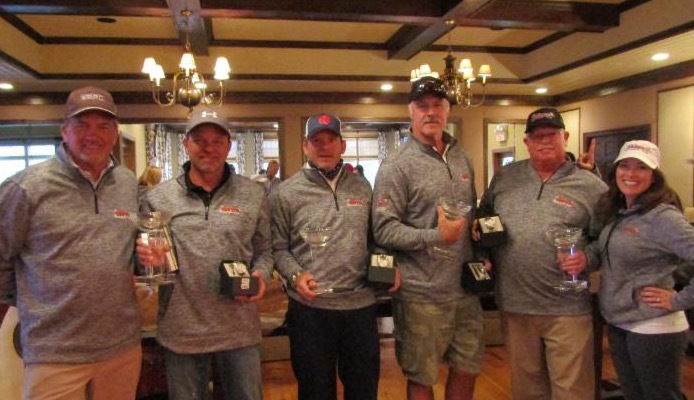 Ten years after the first Skinner Round-Up event was held in Daytona Beach, Fla., the event moved to a new venue in 2016 as service members, celebrities, corporate executives and the general public all flocked to Lake Toxaway, N.C., in support of Hope For The Warriors. The funds raised will be used to support Hope For The Warriors' core programs, including health and wellness, sports and recreation, transition services, and community engagement and development. 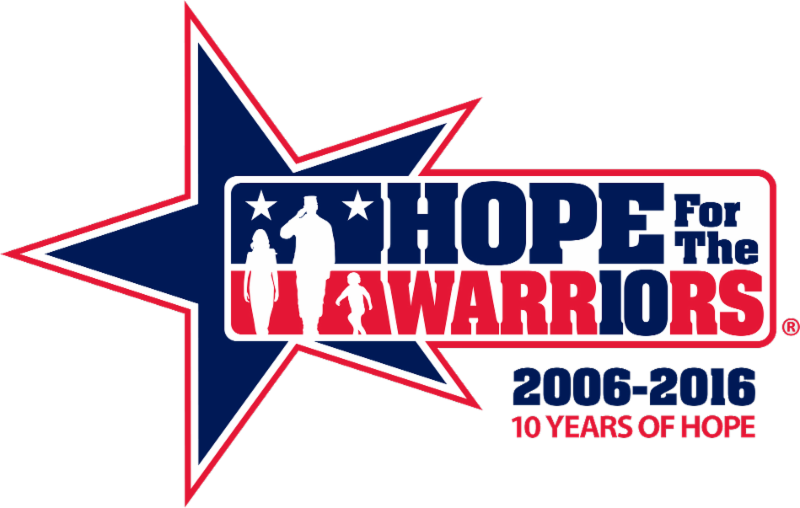 "Mike and Angie Skinner have been advocates, supporters and friends of Hope, and those we serve, for years," said Robin Kelleher, co-founder and president of Hope For The Warriors. "As we celebrate our 10th anniversary, it's humbling to have them name us as beneficiaries of the 2016 Skinner Round-Up. Their support and the support of all those who attended the Skinner Round-Up will help us serve hundreds in need. We look forward to utilizing the funds raised from this event to empower veterans, service members and military families in our communities." Countless sponsors joined the effort to make the 2016 Skinner Round-Up presented by Cessna possible, including Mountain Falls Luxury Motorcoach Resort and Burlingame Country Club who graciously hosted the event. The NRA and Bad Boy Off Road joined forces to bring a new element to the Round-Up with the Gunslinger's 30 Shot Competition, while Liberty Coach helped involve the community through the Skinner Corral of HOPE, which was free and open to the public. Thursday night's Hoedown Bash was presented by Cessna, while E-Z-GO presented Friday's Skinner Round-Up Golf Classic. Additional partners supporting the Skinner Round-Up included Black Bear Lodge, Bulova, Calvin and Peggy Braxton, Carrabba's, Chimney Rock Cattle Co., E-Z Line, FocusPoint, Forth Right Wealth Management, Andrew T. Franzone, Sam and Edwina Friedman, Germain Racing, Millennium Luxury Coaches, Molto Bella Boutique, mpower, Suntrust, Toyota, Toyota Racing, Walker Marina and Renee Wampler. 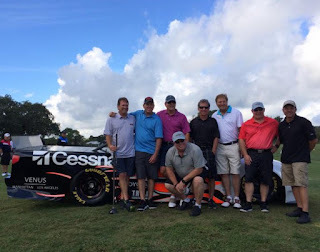 The 2016 Skinner Round-Up once again turned into a reunion of sorts among old friends and competitors from the NASCAR Camping World Truck Series, as drivers Rick Crawford, Ron Hornaday, Jack Sprague and Mike Skinner were together for the event. 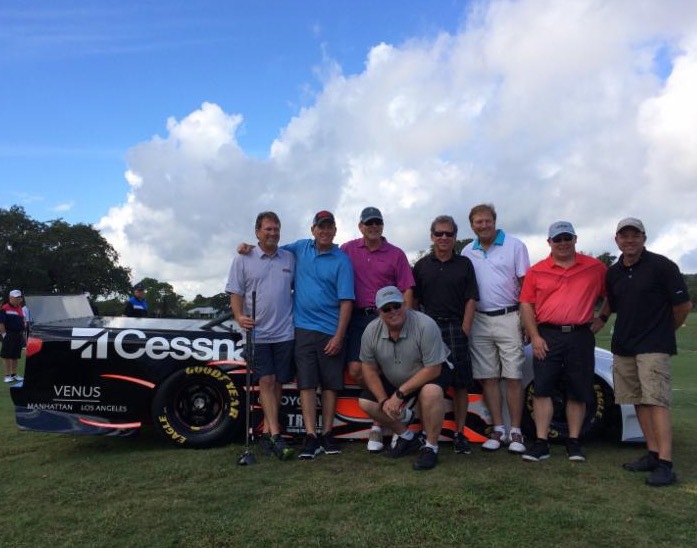 Other NASCAR-related personalities who joined the group included Steve Park, Pat Patterson, Dave Moody and Bill and Gail Davis. Additionally, former NFL punter Chris Mohr and former Washington Redskins offensive linesman Ken Huff were both in attendance. Nashville-based singer/songwriters Billy Austin, Dillon Dixon and D. Vincent Williams, as well as "Nashville Blues Doctor" Stacy Mitchhart and singer/songwriter Teresa Wade, each performed for attendees throughout the event. 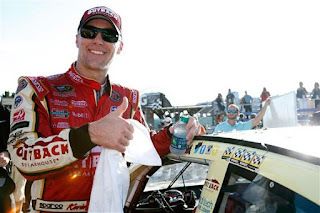 Kevin Harvick has acquired a number of nicknames over the course of his NASCAR Sprint Cup Series career. 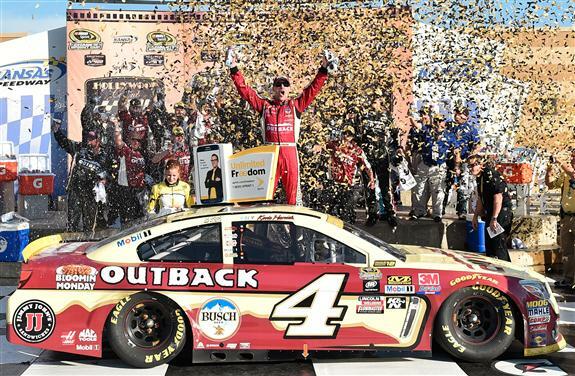 Known at various points as “Happy Harvick” and “The Closer,” the 2014 series champion has long been known as a driver capable of delivering clutch performances in times of greatest need. After Sunday’s “Hollywood Casino 400” at Kansas Speedway, perhaps it’s time to bestow the Stewart Haas Racing driver with a new nickname. For the third time since NASCAR introduced its new Chase elimination format three years ago, Harvick pulled his backside out of the fire Sunday with a victory that guarantees him a spot in the upcoming playoff Round of Eight. Harvick came to Kansas in a decidedly precarious position; dead last in the 12-man Chase standings after a disastrous, 38th-place verdict the previous week at Charlotte Motor Speedway. 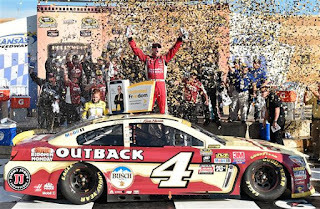 With their backs to the wall and their season in jeopardy, Harvick and his Rodney Childers-led team did what they always seem to do; shrugging off the pressure with a big time performance that renders this weekend’s gut-wrencher at Talladega Superspeedway wholly irrelevant. Harvick didn’t dominate Sunday’s race, but he never fell far from lead, either. Massaging the handling of his Outback Steakhouse Chevrolet throughout the afternoon, Harvick overcame a pair of shaky pit stops to seize the lead from Carl Edwards on a final, Lap 237 restart, the drove away to a 1.183-second decision that removed him and his team from the Talladega pressure cooker to come. “When they're in a must-win situation, they seem to find a little more speed," lamented third-place finisher Joey Logano afterward. ""I don't know how, (but) they always seem to have a little extra left in the tank." “He's tough to beat in these final races," added fellow Chaser Austin Dillon. "There's no doubt about it, he steps up when the pressure is there." Prior to Sunday’s race, Childers admitted that he would prefer to advance in a safer, less dramatic fashion. 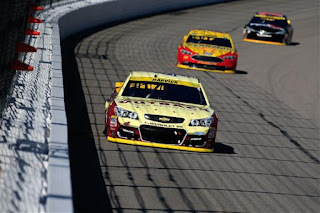 In Kansas Sunday, they did just that, punching their ticket to NASCAR’s coveted Round of Eight. “These guys are just so good at the details,” said Harvick, who is two-for-two lifetime in Chase elimination races, with wins at Phoenix (2014) and Dover last season. “You put their backs against the wall, and they get better. I’m really proud of them. “I got two good restarts against (Edwards). He didn’t have a car close to him, and I was able to break the draft before I got to the middle of One and Two. I just needed to go for it, and that’s really the mind-set we go into every race in the Chase (with)… to go for it. Locked in – along with Jimmie Johnson -- to the next round of NASCAR’s playoff grid, Harvick can enjoy a pressure-free weekend at Talladega. But questions remain regarding his team’s readiness to win a second Sprint Cup Series championship. They continue to struggle on pit road, repeatedly forfeiting track position when the pressure is on. It happened again in Kansas – twice – and while the Bakersfield, California, native took the high road in Victory Lane, there is no denying that SHR’s No. 4 Chevrolet team has a major chink in its championship armor. Harvick overcame his team’s pit road shortcomings with a vintage display of balls-out driving, but as the Chase field is narrowed in coming weeks, the margin for error will diminish, as well. Harvick, however, seems unfazed, convinced that his team’s Al Davis-esque, “Just win, baby” philosophy will continue to carry the day. 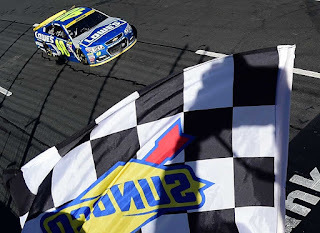 "We've won two races in the Chase, and I feel like we won both of them on restarts,” he said. “That's something we've worked on for probably a year now. When we get behind on something, we dive right in and try to make it better." He also pointed to Childers, a low-key leader who provides the perfect balance to his more mercurial driver. "We could say `We need to go jump off a cliff in the morning’ and everybody would be there at sunrise saying, 'All right, where do we jump?'" said Harvick Sunday. "That's the kind of group this is. Everybody has got each other's back and nobody takes offense if somebody tells them they need to do something better. "It's a unique bunch of people, and you're only as good as the people around you. That's true in every business, and it's no different in this garage. "I had no idea where we were in the points, or how many we were behind," he added. "The only thing we talked about was trying to figure out how to win this race. And if we didn't win this race, what we needed to do at Talladega. "For us, it's always about reaching for something to motivate us," he continued. "If it's having to win a race, going to a racetrack we haven't won at, or rebounding from a bad week, we've been fortunate to be on the good side of this deal for three years now. We know we can perform, and we know we can perform in good and bad situations." NASCAR Sprint Cup Series veteran Ryan Newman has agreed to a multi-year agreement to remain with Richard Childress Racing as the driver of the No. 31 Chevrolet. The renewal marks Newman's fourth year with RCR and his 16th full season in NASCAR's premier series. 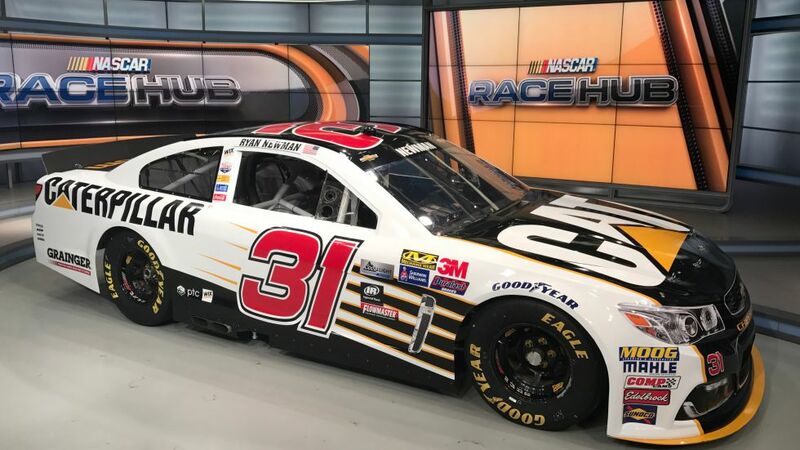 "Ryan's consistency on the track has been a benefit to our organization and this extension solidifies the future of our racing program," said Richard Childress, Chairman and CEO of RCR. "Ryan proved the first year he was here that we could contend for championships and with this continuation, I believe we can fulfill our commitment to winning races and a championship. Ryan has worked hard to represent many of our partners, especially the primary sponsors Caterpillar, Grainger and WIX Filters, helping them to get the most out of their respective racing programs." Newman's tenure at RCR with crew chief Luke Lambert boasts two-straight Chase appearances including the 2014 effort that culminated in a single point separating the 38-year-old driver from the coveted Cup title and a career-best finish in the Cup point standings. 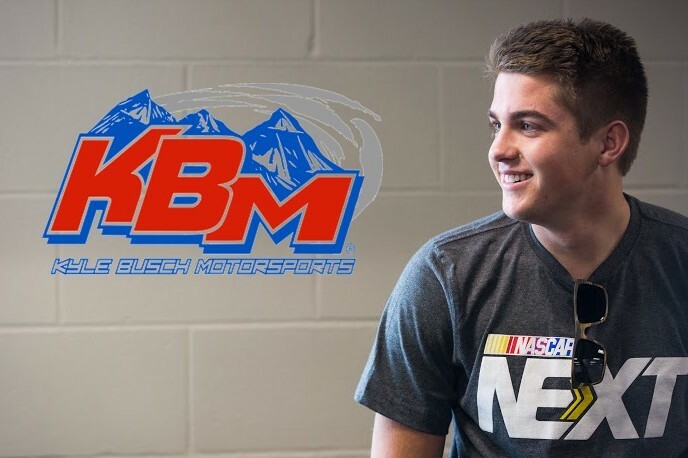 Entering this weekend's Cup race at Kansas Speedway, Newman and his No. 31 team have accumulated 11 top-five, 39 top-10 and 65 top-15 finishes in 102 starts. 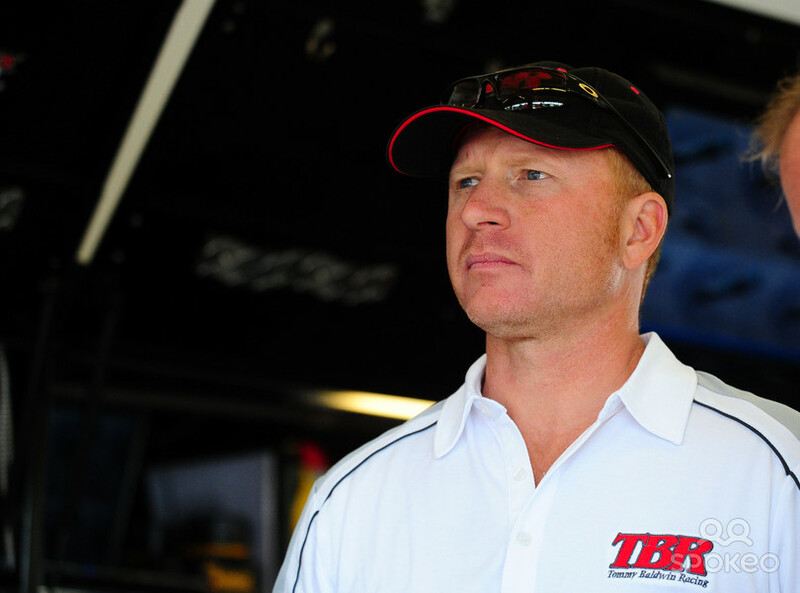 "I am pleased to continue driving for Richard Childress Racing," said Newman. "Our goal to win a championship all but turned into a reality during our first year together. I feel like since then, we have some unfinished business to complete. I'm fortunate to have forged a great relationship with my crew chief Luke Lambert, and I very much want to not only help him reach our goal of winning a Cup championship but also getting him his first Cup victory." Before joining RCR, the South Bend, Indiana native's Cup career spans 17 years and over 540 races totaling 17 victories including the 50th Daytona 500 at Daytona International Speedway in 2008 and the 2013 Brickyard 400. Race fans sometimes find themselves in a need of speedy transportation to various locations during a race weekend at Talladega Superspeedway. With that in mind, NASCAR’s Most Competitive track has introduced an all-new TallaTaxi service. 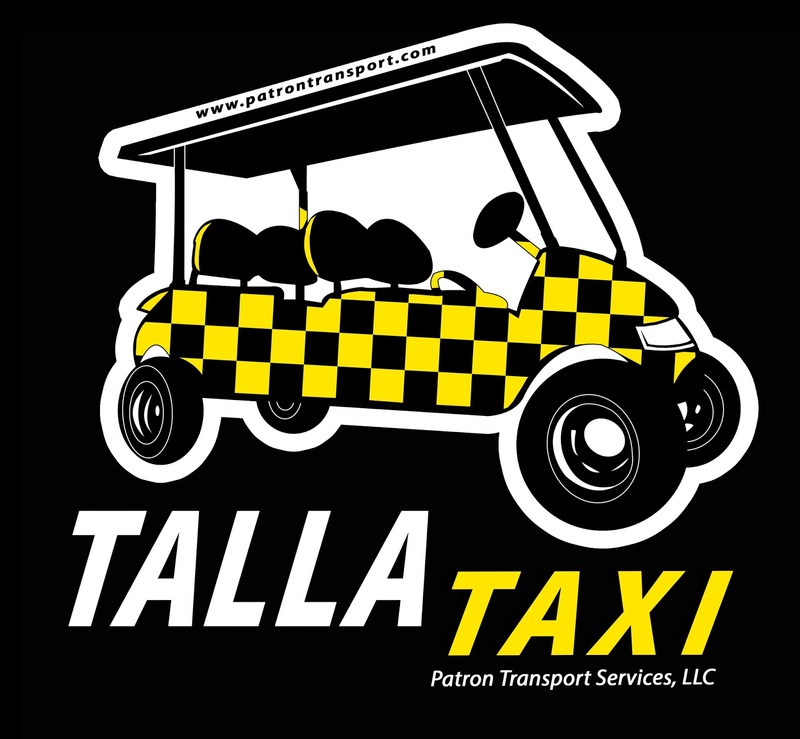 The TallaTaxi golf cart service, from Patron Transportation, will make its Talladega debut during the Alabama 500 and fred’s 250 Powered by Coca-Cola weekend, beginning Tuesday, Oct. 18 and running through Sunday, Oct. 23. For only $5 a seat, TallaTaxi will provide 24-hour transportation to take fans wherever they need to go on speedway property, excluding only the West C campground. 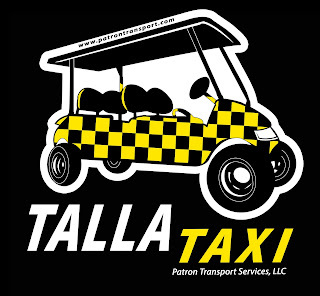 To catch a ride on a TallaTaxi during race weekend, fans can call or text a pick-up request to 205-863-6137, or flag down the unmistakable black and yellow checkered carts while they make their rounds around Talladega’s nearly 3,000 acres. TallaTaxi offers safe rides to keep guests moving and rested while they enjoy a NASCAR Chase double-elimination weekend for both the NASCAR Sprint Cup Series and NASCAR Camping World Truck Series. The speedway will continue to provide free tram and ADA shuttle services throughout the weekend as well, at select locations. The Opening Round of the 2016 Chase for the NASCAR Sprint Cup was a relatively mundane affair, with drivers utilizing conservative strategies to advance safely – and unremarkably -- to the Round of 12. Sunday’s Bank Of America 500 at Charlotte Motor Speedway was anything but unremarkable, however, with no less than five title contenders suffering major setbacks and finishing in the bottom quarter of the 40-car field. Defending winner Joey Logano cut a pair of tires Sunday and spent multiple laps in the garage making repairs. Just two weeks removed from a dominant win in New Hampshire, former series champion Kevin Harvick was also a non-factor Sunday, as engine woes ended his day with a 38th-place finish. Now 11th and 12th in the championship standings, Logano and Harvick find themselves teetering on the brink of elimination, just two weeks before the Chase field is trimmed to eight drivers at Talladega. “I hate it for everybody on our team,” said a disconsolate Harvick Sunday night. “They made some great adjustments today and got our car where we needed to be to run up front. Everything was going fine, (but) lots of things can go wrong. And today, they did. Logano and Harvick weren’t the only ones to find themselves in trouble Sunday. On Lap 259, Chasers Austin Dillon and Chase Elliott were sidelined in a grinding restart crash triggered when Dillon – who had taken just two tires on a pit stop moments before -- was slow to accelerate, He was clipped by the trailing car of Martin Truex, Jr. and hammered the inside wall, while Elliott got turned into the outside SAFER barrier. They finished 32nd and 33rd, respectively, and also find themselves behind the eight-ball heading to Kansas. Denny Hamlin also stumbled Sunday, retiring just 26 laps from the finish when his engine expired while running second. While disappointed with a 30th-place result, the Joe Gibbs Racing driver insisted that he is “not out of it by any means. We just have a little hole we have to dig out of. With the exception of winner Jimmie Johnson, every Chase contender dealt with some degree of drama Sunday. Runner-up Matt Kenseth started at the rear of the field after his team made unapproved, post-qualifying adjustments, then overcame a midrace penalty for a crewmember that went over the wall too soon. Kyle Busch lost a lap after pitting under green with a tire problem, was penalized for a crewman over the wall too soon and an uncontrolled tire, and suffered damage in the Dillon/Elliott melee. He finished sixth. Brad Keselowski also paid the price for an early-over-the-wall crew, but fought back to seventh at the finish. Kurt Busch suffered damage same crash as his brother, but recovered to finish eighth. Truex suffered a clutch failure on his final pit stop while running in the Top-5, stalled the car and eventually finished 13th. It was as if suddenly, nobody wanted to win the 2016 championship. 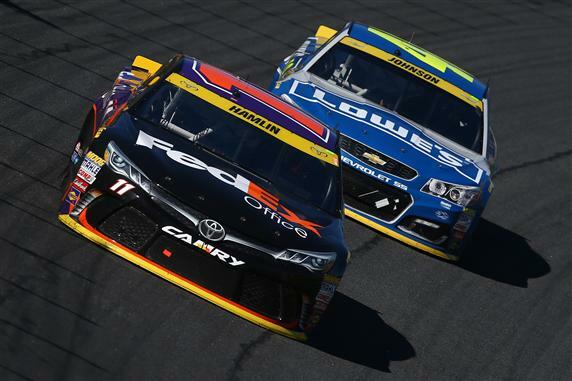 And in the aftermath of a tumultuous Charlotte race, the stage is set for even more drama in the weeks to come. With Talladega looming ominously on the horizon, this weekend’s Hollywood Casino 400 at Kansas Speedway feels an awful lot like an elimination race. For Harvick, Logano, Dillon, Elliott and Hamlin, another poor result in the Jayhawk State will almost certainly push their championship dreams to the brink. There is no room for error, no margin for any further mistakes. "We would all love to tell you that we aren't thinking about Talladega,” said Cole Pearn, crew chief for Martin Truex, Jr. “But we definitely know it's out there. You’re never totally in control of what might happen… and at Talladega, you have way less control than anywhere else." "It's weird how each round of this thing kind of takes on its own personality," said a grim-faced Hamlin Sunday night. "So many of us moved on into this round because we were consistent. Now, there are so many of us who left early today. Winning becomes even more important than it already was. Some guys will be hanging it out at Kansas." "We'll see guys making mistakes behind the wheel because they are pressing so hard,” predicted 12th-place Charlotte finisher Carl Edwards. 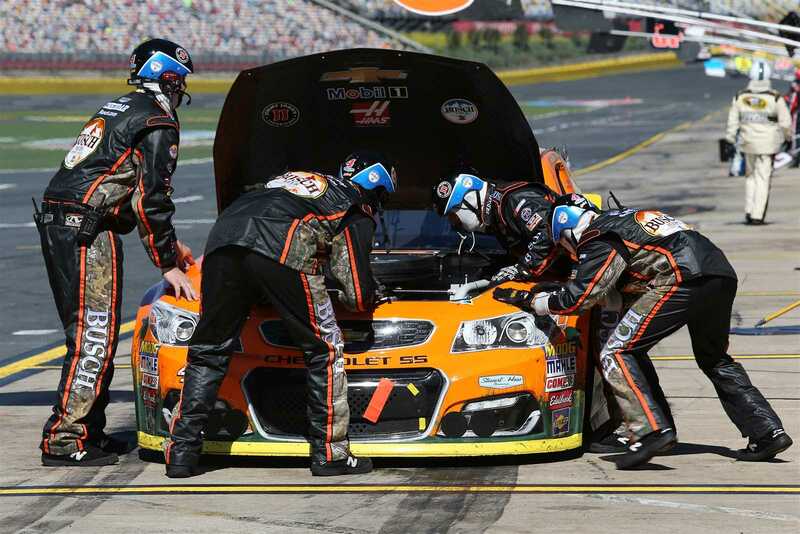 “We'll see pit crews making mistakes… and we'll see equipment breaking down because teams are pushing the limits. I can't imagine what the last lap at Kansas is going to be like. I can't imagine what the last lap of Talladega is going to be like. Every lap matters more than the last one did. It's hard to describe. “Stress, pressure, fun... I don't know what the right word is." For drivers, crew chiefs and team members, the next two weeks will be a walking advertisement for Pepto-Bismol. Fans, however, could hardly ask for more. 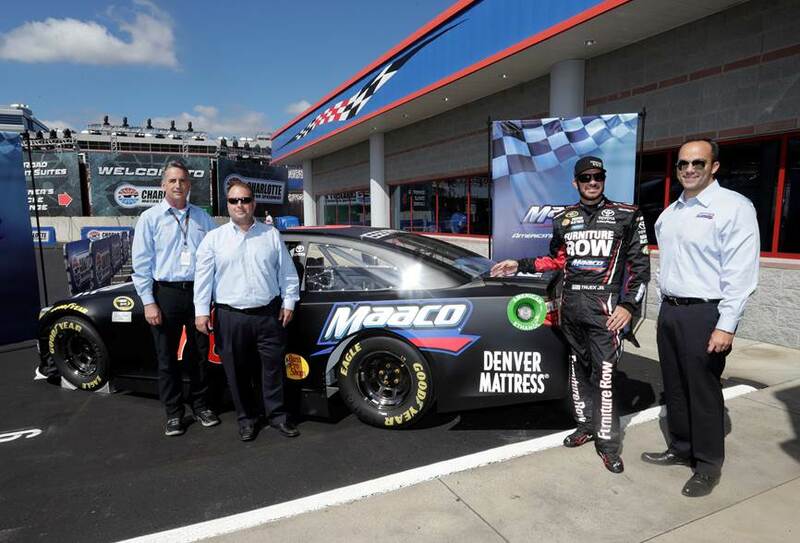 Martin Truex Jr.’s Furniture Row Racing Toyota carried a new sponsor into the Bank of America 500 at Charlotte, as Maaco, a Charlotte-based company and North America’s No. 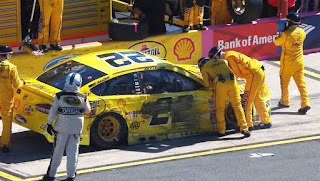 1 auto paint and collision repair franchise, was showcased on the rear quarter panels of Truex’s No. 78 Camry. 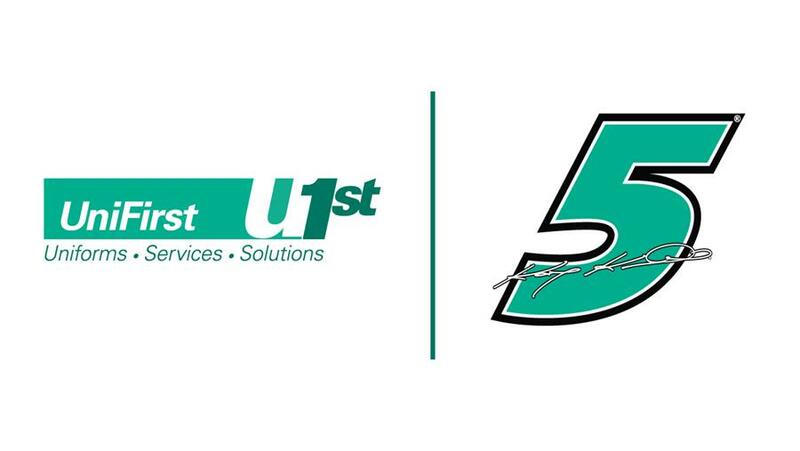 UniFirst and Hendrick Motorsports have reached an eight-year agreement to make the workwear and textile service company a primary sponsor of the No. 5 Chevrolet SS driven by Kasey Kahne through the 2023 season. As the new Official Workwear Provider of Hendrick Motorsports, UniFirst will serve as primary sponsor in two races both 2016 and 2017, with the relationship increasing to three primary races each year from 2018-2023. In addition, UniFirst will be a full-season associate sponsor of the No. 5 team. 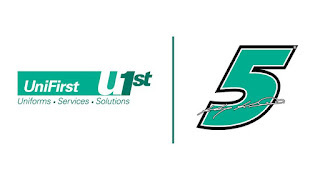 UniFirst will debut with back-to-back races; Oct. 23 at Talladega Superspeedway and Oct. 30 at Martinsville Speedway. 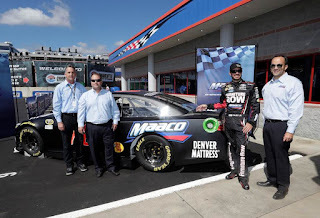 As part of the new relationship, UniFirst will supply work clothing and uniforms to Hendrick Motorsports and sister company Hendrick Automotive Group, which is the largest privately held retail automotive organization in the United States. 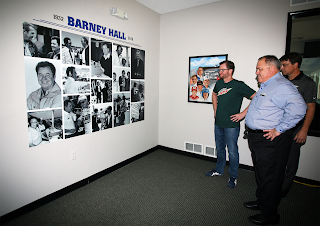 Barney Hall, the legendary voice of the Motor Racing Network, who coined the phrase, “They don’t race ‘em anywhere in the world like they do at Talladega,” will forever be a part of the venue with the dedication and naming of the “Barney Hall MRN Booth,” which sits high atop the start/finish line at NASCAR’s Most Competitive track. 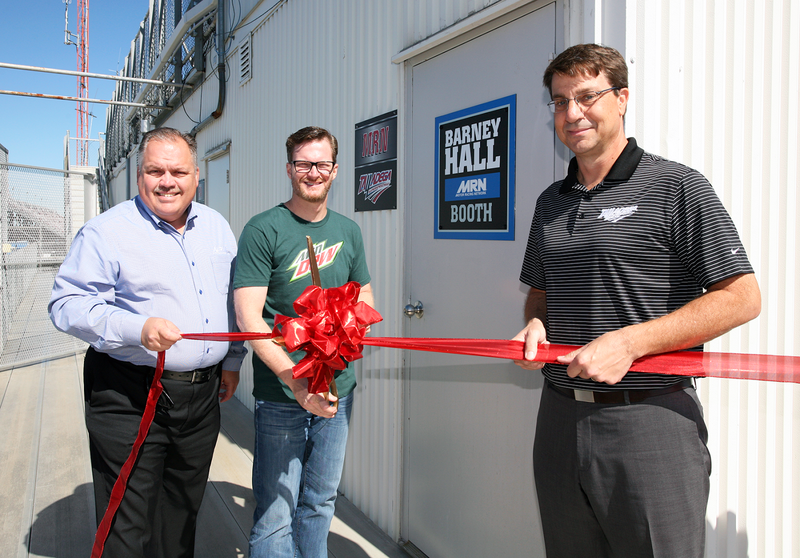 When the MRN team of announcers return to Talladega Superspeedway for the pivotal NASCAR Chase Elimination races, they will perform their weekend duties from the all new “Barney Hall MRN Booth,” named in honor of Hall, a long-time supporter of Talladega Superspeedway, who first covered racing events at the 2.66-mile track in 1970. Hall, who passed away in January at the age of 83, was a giant inspiration among his fellow announcers, providing fans with a smooth, detailed, insightful and folksy style that fit perfectly into what Talladega was all about. His calm demeanor and storytelling were second to none. 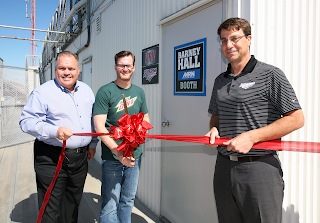 Last week, six-time Talladega Superspeedway winner Dale Earnhardt Jr. helped cut the ribbon on the “Barney Hall MRN Booth,” which inside features a huge collage of photos of Hall and his memorable, iconic Talladega phrase “They don’t race ‘em anywhere in the world like they do at Talladega.” Earnhardt was joined by MRN President David Hyatt and Talladega Superspeedway Vice President Brian Crichton. Hall, who many called “the Voice of NASCAR” for more than half a decade, was honored as the National Motorsports Press Association’s Broadcaster of the Year in 2014. He was inducted into that organization's Hall of Fame in 2007. In May 2012, NASCAR and the NASCAR Hall of Fame jointly announced the creation of a new award to honor the media’s contributions to the success of the sport. It carried the names of two legendary MRN broadcasters: Hall and Ken Squier, who were also the first recipients. While he won’t be competing in the Alabama 500, Earnhardt will be at Talladega, interacting with fans as part of the track’s Fan Driver Question & Answer session on Sunday morning at the start-finish line. The Q&A will also feature Chase drivers Carl Edwards and defending Alabama 500 champ Joey Logano, along with Brian Scott, Michael Annett and 1989 NASCAR Champ Rusty Wallace. To be a part of this event, fans can purchase Talladega’s “Pre-Race Pit Pass Upgrade” for $75 (must also purchase a Sunday admission ticket). The “Pre-Race Pit Pass Upgrade” will be in effect on Sunday, Oct. 23, from 8 a.m. until the conclusion of Driver Introductions. The Alabama 500 gets underway at 1 p.m. CDT. To purchase, call 1-877-Go2-DEGA or visit www.talladegasuperspeedway.com . Talladega Superspeedway’s weekend schedule kicks off on Friday with practice sessions for both the fred’s 250 Powered by Coca-Cola NASCAR Camping World Truck Series race and the Alabama 500. Saturday’s schedule includes qualifying for the NCWTS fred’s 250 Powered by Coca-Cola (9:30 a.m. CDT), the fred’s 250 Powered by Coca-Cola (the Round of 8 Elimination race in the NCWTS Chase), which gets the green flag at 12 Noon CDT, and Foodland/Food Giant Qualifying for the Sprint Cup Series. Sunday’s Alabama 500, which will see the field of 12 contenders for the title be reduced to eight at the checkered flag, is set for a 1 p.m. CDT start on Sunday, Oct. 23.